Our school assemblies this week have been on the theme of storytelling. 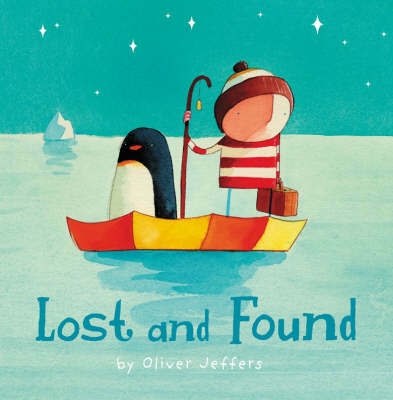 I was delighted to see the entire school (aged from 11 to 57) spellbound when one of my colleagues read them the delightful Lost and Found by Oliver Jeffers on Wednesday. Truly, a really good story needs no age guidelines. It got me thinking back to the first story I remember being read to me: a particularly gruesome folk tale called The Hobyas, which featured a dog having its tail, legs and head cut off to stop it barking, and two people being killed and eaten. Hmmm… I wonder which of my relatives looked at the book and thought ‘That’s just right for a small child’s birthday!’ You can find the text here, if you’re particularly bloodthirsty. If that didn’t do enough to twist my character, then exposure to The Singing Ringing Tree did the rest. This was a German fairytale, featuring among other characters, an evil dwarf and a prince transformed into a bear. It was shown on children’s tv in Britain, and must have scarred an entire generation. (In a poll in 2004, it made the top 20 all-time creepiest tv shows). Even now, the thought of it makes my flesh crawl… Does anyone else remember it, I wonder?